From trapper camps to roundups, from Indian teepees to buffalo hunts, the art of Charles Marion Russell is a journey to the Wild West. 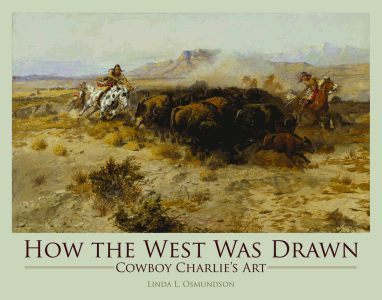 Although most Western artists in the early nineteenth century never lived in the West and painted mostly the legends they heard, Cowboy Charlie loved to paint the scenes around him whether he was working as a night wrangler or living with the Blood Indians. 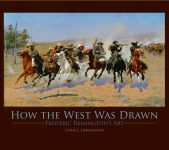 That’s why when historians and researchers want to know what the American West looked like, they turn to his art. 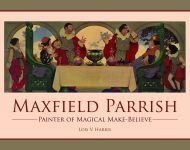 A museum docent with thirty years of experience studying Russell and his art, Linda L. Osmundson provides a new look at this well-loved collection. Featuring one sculpture and twelve paintings by the artist, this compilation offers young readers an interactive self-guided tour with prompts and questions accompanying each work. 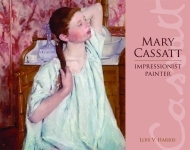 An introduction guides the reader to use the material provided in enhancing history, art appreciation, and writing. Interesting anecdotes about Russell and a rough timeline of his life help bring out his full character, which aids children in understanding his work. Young readers will be able to take away some of the tools of artistic observation that are introduced here and apply them later in their education. 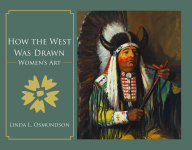 Linda L. Osmundson is a former teacher who has served as a docent in four major art museums and two galleries. As a docent trainer, she taught Art in the Classroom workshops for volunteers. 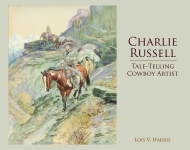 She has studied and collected the art of Charles Russell for almost three decades. Osmundson has been published in several publications, including Arts & Activities, Chicken Soup for the Soul, and Family Circle. A mature print model, she resides in Fort Collins, Colorado. 1 color photo 12 color illus.